Karin H. Berg focuses her national practice in the areas of insolvency, bankruptcy, complex loan workouts and restructurings, and secured and unsecured financing, including acquisition financing, asset-based lending, leveraged lending and first/second lien transactions. Karin regularly represents financial institutions and other secured lenders in all stages of financing and throughout the life of a lending relationship from structuring, negotiating and drafting commercial credit and collateral agreements to negotiating and documenting workouts, restructurings and reorganizations, both in and out of court. Many of Karin’s clients are secured lenders, financial institutions, administrative agents, collateral agents, private equity funds and other lenders. She provides counsel in a wide variety of debtor/creditor matters, including asset-based and cash-flow transactions, subordinated and second-lien debt, equity classes and rights, intercreditor agreements and participation arrangements, including syndicated loans, “club” deals and single-bank transactions, as well as loan workouts, loan sales, DIP financing and plans of reorganization. She counsels clients in connection with prejudgment remedies, Uniform Commercial Code sales and foreclosure proceedings, lender liability actions and adversary and other bankruptcy proceedings, and has successfully defended major fraudulent transfer and preferential transfer actions. In addition, Karin advises indenture trustees, special servicers, borrowers and debtors-in-possession, buyers, sellers and investors in all aspects of bankruptcy proceedings, assignments for the benefit of creditors, federal and state court receivership actions and other insolvency proceedings, including matters in connection with acquiring and disposing of distressed assets through 363 sales, and acquiring and disposing of equity and other claims. 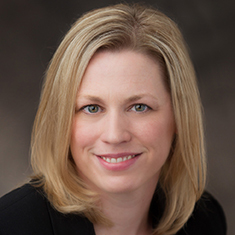 Karin regularly represents clients in health care financing and restructuring transactions, and her experience also spans many other industries, including automotive, commodities, consumer goods, financial services, hospitality, manufacturing and retail. Shown below is a selection of Karin’s engagements.